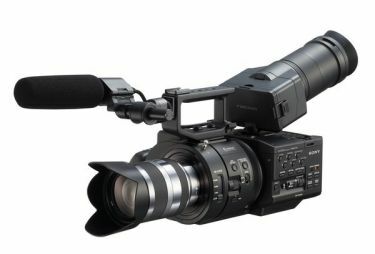 The FS700 video camera is designed for high speed shooting, capable of capturing footage at up to 960 frames per second and features a range of capabilities such as 3G HD-SDI output and built-in ND filters. The NEX-FS700 utilizes a new 4K "Exmor" Super 35 CMOS sensor and the E-Mount flexibility is designed to accept virtually all SLR and DSLR 35mm lenses with the use of lens adapters. Priced with camera body, lens, batteries, a/c power and (2) 32GB cards.